Heat dissipation at the same time targeting the tree major heating positions of graphic card core, video memory, and power supply MOS. The internal water channel adopts micro water channel design to make liquid contact more thorough and bring heat away more quickly. Processed and created with precision machinery, and perfectly integrated with graphic card. Bring multi-color and color-changeable LED light and support Syscooling lamp control system. Material	 High purity red copper bottom base, imported transparent POM & Acrylic upper cover. 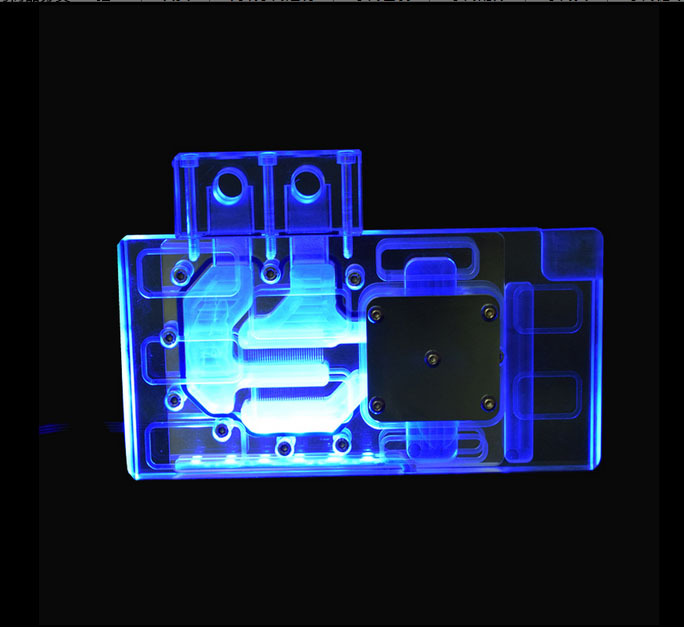 Looking for ideal Full Coverage RGB Block Manufacturer & supplier ? We have a wide selection at great prices to help you get creative. All the Graphic Card Block are quality guaranteed. 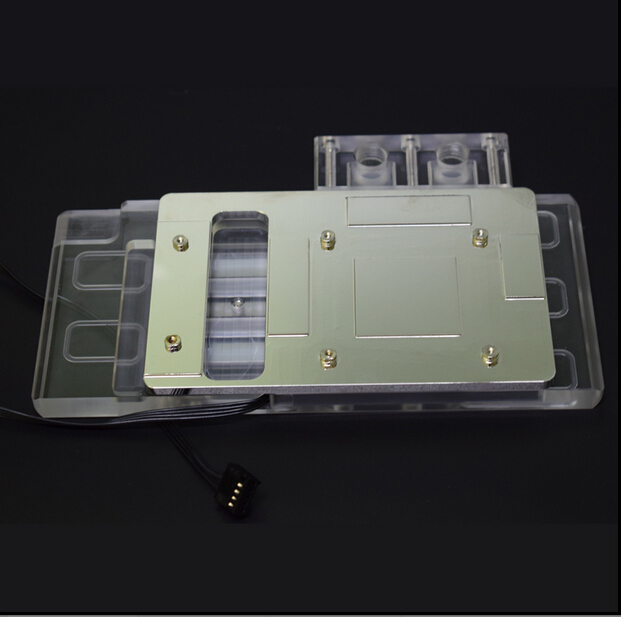 We are China Origin Factory of RGB Water Block. If you have any question, please feel free to contact us.